Meet Valencia (Val) Banks Freeman. Chicagoan, WestSider, Malcolm X College graduate, Owner-Publisher of BlackSide Press, the largest community newspaper in the city, Community Activist and winner of one billion dollars from Lotto-50 – the first entire All-Fifty-States lottery. What? An activist winning the lottery? How can that be? True Activists don’t buy lottery tickets. They protest against them. If you ever listened to black talk radio or seen the activists on television, then you know that the activists always have all the answers. But seldom do they ever have the money to fix the problems. 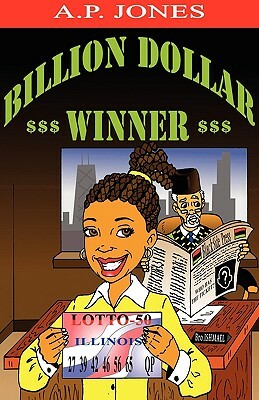 Billion Dollar Winner tells the story of what happens when one of the main individuals who protested the loudest against the Lotto-50 lottery game turns out to win the very lottery she so actively disparaged. Will Val remain true to her activist nature? Or will the love of money, which is at the root of all evil, change her and make her the hypocrite everyone calls her when they find out she won the money? And just how did someone who never bought a lottery ticket in her entire life come to possess one in the first place?